In 2014, the team successfully finished implementing the new storage system (HP 3Par), which enhanced capabilities and comfortably accommodates data growth for the next five years. 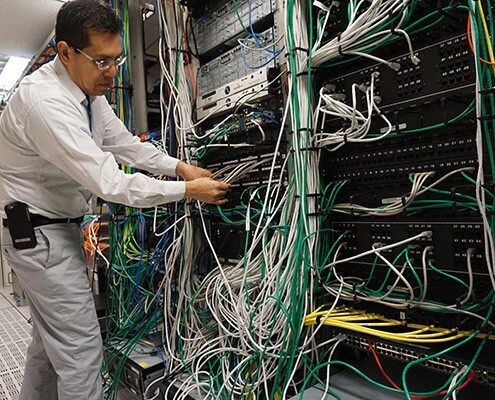 The server and infrastructure unit is also in the process of designing a fail over (disaster recovery) site in North County that will provide at the same time the opportunity to move form tape backups to disk backups, which will save the office tens of thousands of dollars spent on tape every year. 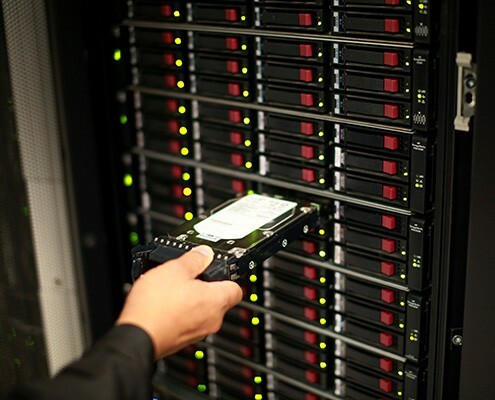 The disk backup is faster, more reliable and more secure than the traditional tape backup. The ITD team is also testing a trusted file system. Once fully tested, certified by the county and implemented, the system will help the office in its paperless goals by transforming cases into a digital format. The new file system will also insure authenticity and originality of the documents for future use. This will save thousands of dollars in storage and maintenance expenses. The team successfully negotiated and is in the process of upgrading cross sites bandwidth and Internet connection from 100 MB to 500 MB saving money on monthly services and at the same time enhancing the connection speed by five times. This will enable the office to use mobile applications and remote connections without any drop in speed or performance. The team also evaluated and implemented multi-layer security on desktops and laptops in light of the increased cyber security threats and attacks across all industries. The application development team manages the content and design of the DA’s public website, which receives thousands of views each week from around the world. In addition, the web team manages the DA’s intranet and a growing portfolio of browser-based applications and is researching portal-based solutions to serve external customers more effectively. The team developed a browser based application that allows Deputy DAs access to the DA’s case management system in the courtroom through laptops and tablets. The team is also redesigning the DA websites to enhance the experience of our external and internal users. In anticipation of the increased number of mobile device and tablet users, the web development team is enhancing and updating the DA web portal to become universal with all browsers. The support team provides technical assistance to all DA employees via phone, email, self-service portal or on-site service. 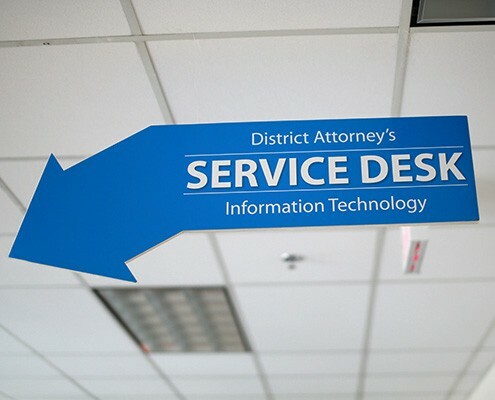 In 2014, the IT Division resolved more than 10,377 incidents for assistance through its service desk. An upgrade of desktop and laptop hardware and software is ongoing to provide improved performance, reliability, and security. Other projects include document scanning, technical support for defense attorneys using eDiscovery, and a continuous effort to improve computing capabilities and services and to utilize new technologies. The team was effective in controlling and reducing costs dramatically to save more than 50 percent in mobile phone costs through monitoring and eliminating unneeded equipment and re-negotiating contracts and plans on regular basis. The IT division, in partnership with the Sheriff’s Department and the San Diego Superior Court, initiated a project to eliminate the old mainframe that gracefully served for more than 40 years. 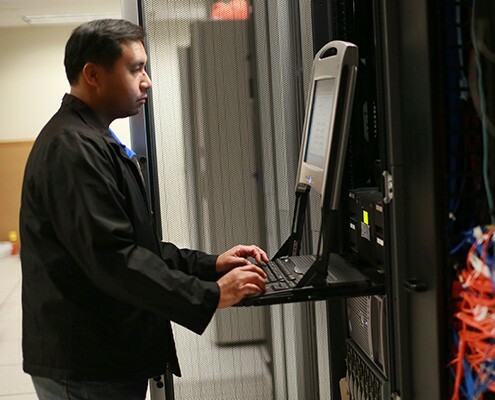 The mainframe will be migrated to more modern platform with minimal maintenance cost that will save the office and the county millions of dollars in maintenance and support.